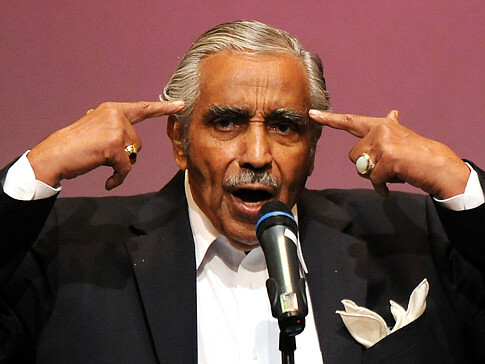 Rep. Charlie Rangel recently addressed a crowd at Columbia University and revealed that God told him not to cop a plea to avoid a public trial on ethics charges. This morning I had a conversation with the Creator, who told me He doesn't remember ever talking with Charlie. When a news reporter in the crowd asked Rep. Rangel what action he will take if found Guilty, Charlie was photographed (see above) explaining, in detail, how he will shoot himself in the head with two pistols.